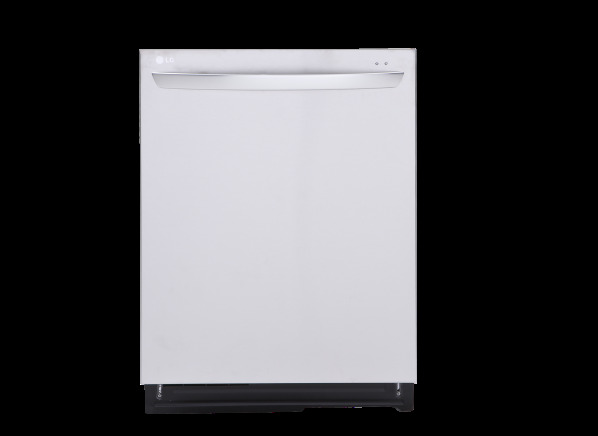 The LG LDF7774ST is part of the Dishwasher test program at Consumer Reports. In our lab tests, Dishwasher models like the LDF7774ST are rated on multiple criteria, such as those listed below. Washing: Assessed by running the sensor, normal or equivalent cycle to clean a full load of dishes with baked-on food. Drying: Drying is our assessment of how thoroughly a model dries plastic items, the most stubborn in any load. We evaluate drying performance using the same cycle we use for our Washing test. As directed by manufacturers, we use rinse aid in every load. Energy use: The normal cycle is used for the yellow energy sticker. Our score is based on the selected wash cycle. The largest portion is needed for heating water, both at the water heater and in the machine. Results in the following chart are gathered from Consumer Reports’ 2018 Spring Survey of 72,307 dishwashers, owned by members who purchased a new unit between 2008 and 2018. Our predicted reliability ratings are based on a statistical model that estimates problem rates within the first 5 years of ownership, for dishwashers that are not covered by an extended warranty or service contract. We also adjust for the number of loads of dishes run through the machines per week. The median in our survey was 3 loads per week. Higher ratings are indicative of better reliability. Brands receiving a red or orange rating cannot be recommended by CR at this time. Our owner satisfaction ratings are based on the proportion of members who are extremely likely to recommend their dishwasher to friends and family. Ample flatware slots Ample flatware slots Flatware baskets with lids provide individual slots for most of the utensils in our silverware load. Such lids prevent "nesting" and thus improve flatware cleaning. It is more time-consuming to load the cutlery into individual slots, though, so you can remove the lids if you prefer. Adjustable upper rack Adjustable upper rack Most models hold cups and glasses on the top rack, plates on the lower rack, and silverware in a basket. The ability to adjust the upper rack up or down an inch or so allows for more flexibility in loading items such as tall glasses. Adjustable tines Adjustable tines Most models hold cups and glasses on top, plates on the bottom, and silverware in a basket. Features that enhance flexibility include adjustable tines, which flatten areas to accept bigger dishes, pots, and pans. A "yes" here indicates adjustable tines on at least the top or the bottom rack. Displays remaining time Displays remaining time A digital display lets you know how much longer the dishwasher will take to complete the chosen cycle. Rotary dials or status bars generally give an indication of the stage the cycle is in, less precise but still helpful. Door lock Door lock All dishwashers automatically shut off when the door is opened during operation, so water won't flood out. A few models have door locks that prevent children from opening the dishwasher and touching sharp objects or hot surfaces. Hidden controls Hidden controls Controls along the top edge of the door contribute to a sleeker look. Some models hide all controls; others hide only some controls. Interior material Interior material A dishwasher's interior, which includes the inside of the door, could be made of stainless steel, plastic, or a combination of the two--such as a plastic door and stainless sides and bottom. Unlike a plastic interior, an all-stainless interior won't discolor, but it does increase the cost of a dishwasher by about $100. Requires custom door panel Requires custom door panel Some dishwashers lack a finished front-door panel, so you must furnish your own at an additional cost. This lets you match the dishwasher's panel with your kitchen cabinetry, or to choose a stainless-steel front. Many models with finished fronts also let you add custom panels to change the finish. Stainless/SS-look option Stainless/SS-look option Stainless steel is stylish, but it shows fingerprints. Another option: a vinyl-covered metal finish that gives you a stainless-steel look but resists smudging. Self-cleaning filter Self-cleaning filter A filter that cleans itself is convenient but can add to noise. While most mid- to high-end dishwashers come with filters that require periodic manual cleaning, a few newer high-end models come with self-cleaning filters that use micro-filtration rather than macerators. Sensor Sensor A sensor adjusts water usage and cycle time to the amount of soil on the dishes. This should make a dishwasher use water more efficiently, but we've found this isn't always the case. Moreover, a sensor can increase a machine's running time.